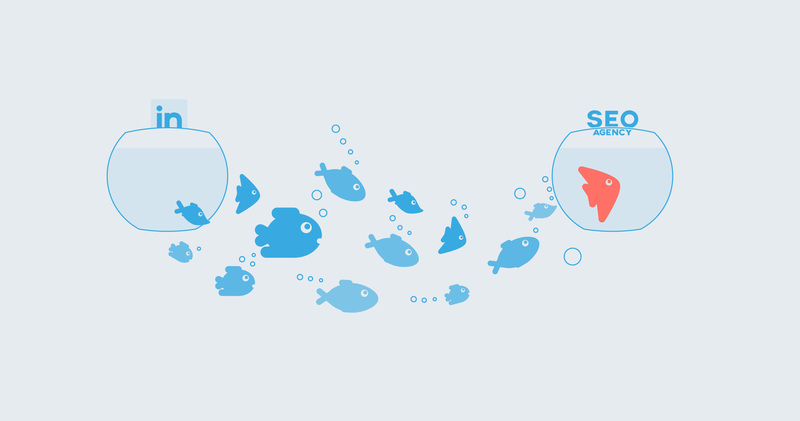 Generating leads for an SEO agency can be tough. How are you supposed to find clients that will pay you what you deserve? What can you do to make sure you have a steady stream of clients? Sure, generating leads can be a challenge. 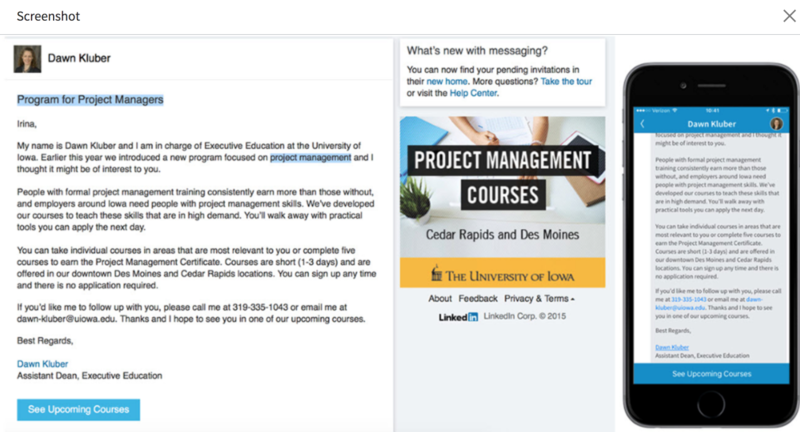 With the help of LinkedIn, though, you just might be able to make things easier on yourself. After all, 79% of B2B Marketers say LinkedIn is an effective source for generating leads. But if you want to experience this kind of success on the platform, you need to know what you’re doing. Fortunately, generating leads on LinkedIn is not as complicated as you might think. In fact, keep reading, and you’ll learn the strategies you can use to generate SEO leads using LinkedIn, so your agency will thrive and grow. In this post, we’re going to take a look at the various ways you can use LinkedIn to generate clients. But if you are going to succeed with these strategies, you need to be extremely clear on the kind of person that represents your ideal client. If you are unable to do this, you will struggle to gain traction with the methods we’re going to cover. One way you could define your ideal client, is by creating something known as a Buyer Persona. However, because we’re dealing with LinkedIn, a better method might be to use the targeting settings on the LinkedIn Ads platform. 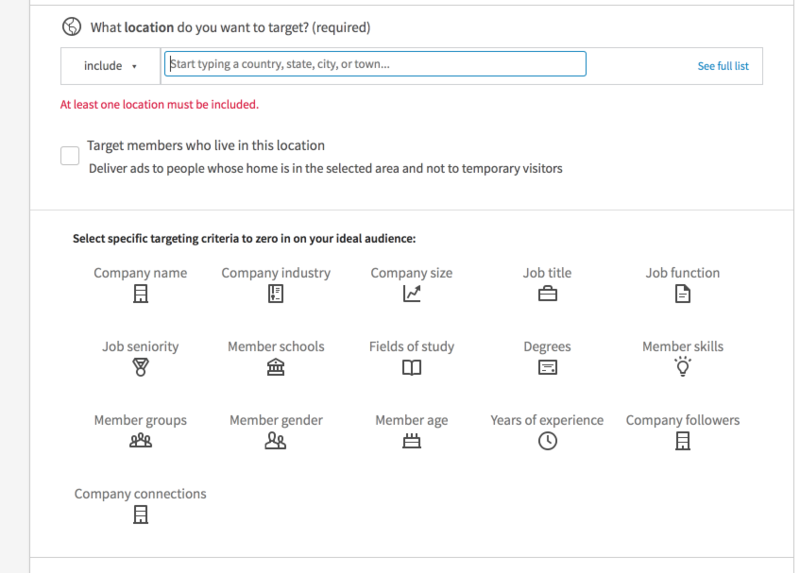 Then pick anyone of the ad formats, until you get to the section where you are able to adjust the targeting settings. You should then see a screen similar to the one below. You need to think about defining your ideal client, in relation to all of the fields shown above. If you do this, it will be easier to use LinkedIn as a means of finding and reaching your ideal clients. Once you’ve done this, you can then think about exactly how you are going to gain the attention your ideal client. One way you can generate leads is by creating content. But you aren’t creating this content for your blog – you’re creating it for the LinkedIn Publisher platform. 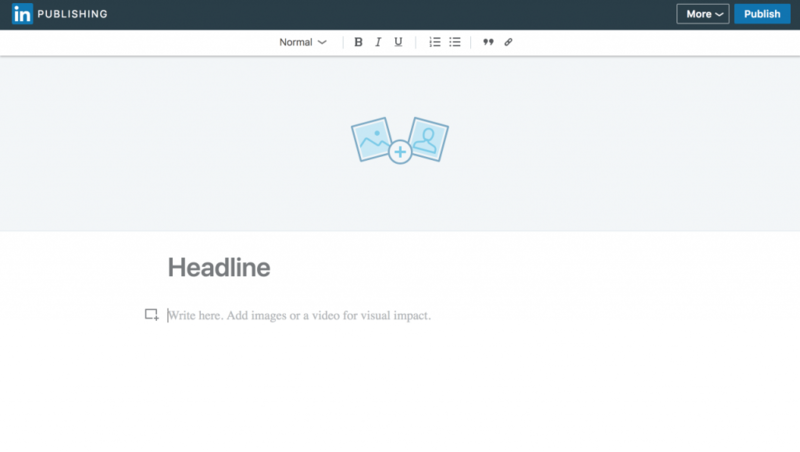 If you publish content using the LinkedIn Publish platform, your connections and followers will see your content. They may even receive notifications, whenever your content is published. If your content seems to be generating a lot of engagement it might be shown to people outside of your connections and followers. This means that a good piece of content can provide you with excellent levels of visibility. You can publish content, by going to your newsfeed and then clicking on the ‘write an article’ button. You will then see this screen. You can write or ‘paste’ your content here. If you want to great results with this approach, there are a few things you need to keep in mind. For one, you need to make sure you have enough connections. If you do not have enough connections, find people that might be worth connecting with, using the LinkedIn search bar. Make sure the people you reach out to, align with the parameters you defined earlier regarding your ideal audience. 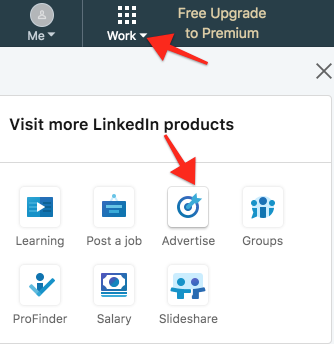 If you are using a premium version of LinkedIn, use the ‘advanced search’ option. These settings will make it easier to find people who are an extremely close representation of your ideal client. Once you’ve amassed at least 100 connections, go about producing content for the platform. Make sure you create content that is high-quality and better than what competitors might produce. Provide a perspective or an insight that helps your target audience solve a problem. Alternatively, create content that helps your target market think differently about solving a particular problem. Make sure your connection number is consistently growing. This will ensure you are reaching more and more relevant people, every time you publish content. This can sometimes happen naturally. But if it isn’t, be sure to keep reaching out to people that would be worth connecting with. You also need to focus be consistent. Otherwise you will not be able to stand out amongst all of the noise that bombards people when they’re on LinkedIn. You can also generate SEO leads on LinkedIn, by running paid ad campaigns. There are a number of different ad products on the platform. Let’s take a look at each of these ad formats and how they work. One ad format, is the Sponsored Content Ad. .
With this ad format, you will be able to get yourself into the feeds of your target audience. Even if they do not follow your company page and/or they aren’t a connection. This ad format gives you the chance to market to your target audience in a non-invasive way. It also allows you to educate your target audience, increasing the odds that they’ll reach out to you and ask for help. 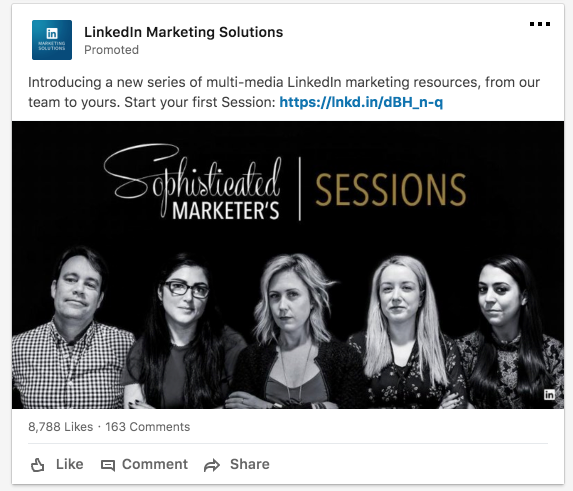 You can also use videos when running LinkedIn Sponsored Content ads. 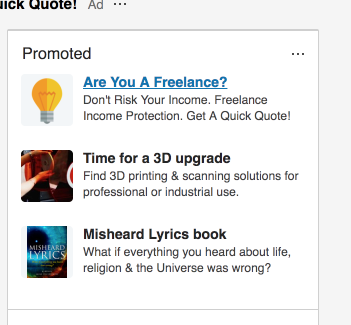 LinkedIn provides a Gallery, where you can check out examples of effective sponsored content ads. If you are using this ad format, think about promoting case studies. Alternatively, run ads that educate your target audience on how they can solve a problem they’re facing. You can identify such problems, by taking a look reviewing the Buyer’s Journey of your past clients. An example of such a problem might be how to reduce marketing costs. Your ideal clients might be interested in reducing marketing costs, but might not know how they can do this. If you can create a piece of content that shows them how to do this via SEO, the people shown this ad might reach out and ask for a consultation. You can also run a ‘Text ads’ campaign. A Text ads campaign allows you to create a more ‘traditional’ kind of ad. It’s essentially an image next to a section of text. This kind of campaign can be hard to pull off when trying to generate SEO leads. This ad format doesn’t give you a lot of ability to provide context as to why someone should seek out your services. The other ad formats we’re going to take a look at, let you sell using content that educates your target audience on why they should seek out your services. This ad format is also more likely to be ignored. For the most part, InMails and Sponsored Content ads are a lot less invasive and feel a lot less like advertising. Because of this, they’re often able to generate better levels of engagement. There’s also the option of running an ‘InMail’ campaign. LinkedIn allows you to message people on the platform, if they are a ‘connection.’ If they aren’t you won’t be able to message them. InMails, however, give you the chance to InMail whomever you want to on the platform. If you are going to run an InMail campaign, you can take two approaches. You could either send people a case study, based on results you’ve delivered for someone in the same industry. You could then offer a consultation call that offers people the chance to see how you could deliver similar results for them. Alternatively, you could send people personalized recommendations on how they could improve their current marketing strategy. For instance, if you see someone that is running a lot of AdWords ads, you could send them a proposal that suggests how they could achieve results with SEO. You could detail how these results would lead to lower marketing costs and therefore more profit per customer. You could even point out mistakes in their current SEO strategy. If you don’t know how to generate leads for your SEO agency, it’s going to be hard to create consistent revenue. Thankfully, you can use LinkedIn to help you generate leads. In this post, we’ve taken a look at some of the steps you can take to generate SEO leads from LinkedIn. You can use the LinkedIn Publisher platform or you could even use LinkedIn Ads. Whichever approach you take, make sure you know who your target audience is. LinkedIn is a big place. If you just dive in without defining your ideal client, you won’t be able to join the 47% of marketers that have sourced a customer on the platform.